Ukrainians have always felt a strong connection with Jesus Christ as their Savior and God. They also turned to their Church in historic times of trouble—the center of spiritual life overseeing the salvation of their souls—whether in their cherished native land or on fateful foreign shores. Churches play an important spiritual and social role. In fact, despite difficult circumstances, Christian communities would spring up, with a parish church, a sanctuary, at its centre, a place of spiritual life, of unification with God, of limitless blessings. Ukrainians who settled in Montreal were no different, especially when their adopted city in the middle of the St.Lawrence River reminded them of their European roots. For a long time the first Ukrainian immigrants did not have any church to call their own. Tough economic times, impossibly low-paid migrant worker salaries, and their low numbers would not allow them in having their own building. But they were often visited by pastors who came from Europe or from the neighbouring States. 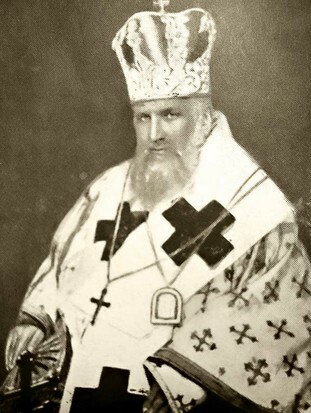 Their spiritual Father, the Metropolitan Servant-of-God Andrey Sheptytsky visited twice; the first time in September 1910 and the second, in September 1921. These apostles of Christ uplifted the spirit of Ukrainian settlers with their inspirational sermons, administered sacraments, celebrated liturgies in French and English churches. Such dedication was enough to cause encouragement to build their own church. And so, with God’s blessing and the cooperation of goodwill, the first Ukrainian Catholic Church of St. Michael the Archangel was built in the borough of Hochelaga-Maisonneuve in 1916. A few years later, in the 1930’s, a second church, this time in the working class neighbourhood of Pointe-St-Charles, the congregation of the Holy Ghost saw the light of day, followed by another congregation in Ville-Émard: St. Josaphat. The end of the Second World War saw an influx of immigrants, among which were many Ukrainians. They left their native land because of the war and ended up in “displaced persons” camps in Austria, Germany and elsewhere in Western Europe. They eventually arrived in the hospitable country of Canada. Many of them settled in Montreal. Their numbers greatly increased and strengthened the existing, well-organized community. The relentless urban movement in search of better residential conditions led a large number of Ukrainians to a new city district, called Rosemont, and for the necessity to create a new parish and build a church for their spiritual needs. The church of St. Michael the Archangel was already too far for them, and it could no longer serve the needs of the growing community. Thus on November 24, 1950, the bishop for Ukrainian Catholics in Eastern Canada, His Excellency Isidore Borecky of Toronto, established by decree a new parish in Rosemont, The Assumption of the Blessed Virgin Mary. Organizing and heading this parish was given into the capable hands of Fr. Michael Hawryluk, who also became its first pastor. The news was shared with the faithful by Fr. Irenaeus Nazarko OSBM during Holy Mass at St. Michael’s on Iberville Street on Sunday, December 3rd 1950, and was enthusiastically met by the community. Initially, the new parish held Worship at local French schools in Rosemont, such as Louis Hébert on 6th Avenue and Saint-Gabriel Lalemant, now called Marie-Médiatrice, on Des Écores Street. The first Divine Liturgy in the newly established parish was held on Sunday, December 10th 1950 at the Louis Hébert School.